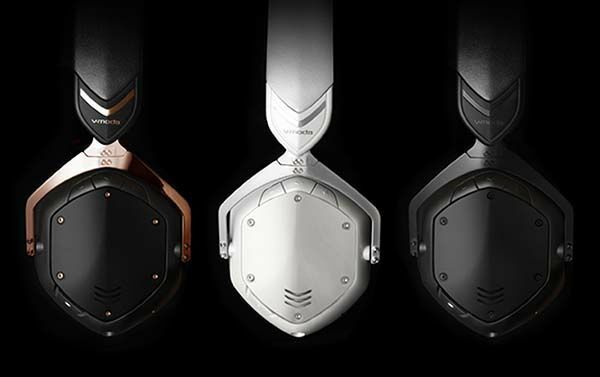 Following REMIX Bluetooth speaker, V-MODA has released Crossfade 2, its latest Bluetooth headphones. Using premium materials and meticulous workmanship, the headphones let you comfortably listen to your favorite music. The Crossfade 2 is a well-designed and high-performance wireless on-ear headphones that weighs 309g. 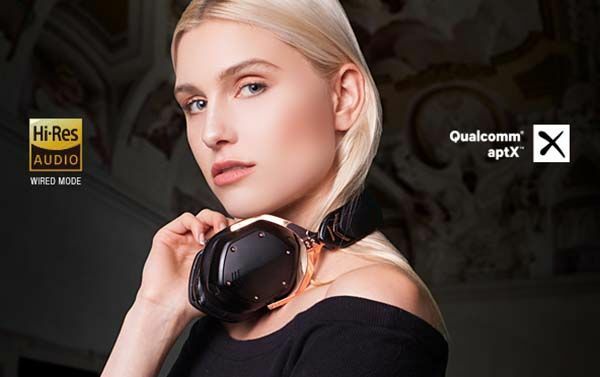 As we can see from the images, the Bluetooth headphones feature two beautifully designed earcups with two detachable aluminum shields that deliver an eye-catching modern style, and the vegan leather earcups and headband deliver luxurious fashion. Meanwhile, the adjustable steel headband and memory foam cushions enable the headphones to provide you a comfortable wearing experience for any music playback session. The Bluetooth headphones come equipped with two 50mm dual-diaphragm drivers plus Qualcomm aptX and passive noise isolation in order to produce high-quality wireless stereo audio with balanced bass, mids and highs. In addition to built-in Bluetooth technology, the headphones also feature an extra 3.5mm audio. Using included cable, Crossfade 2 also works with any music player with 3.5mm audio jack for zero latency wired audio. Furthermore, built-in rechargeable battery offers over 14 hours of music playback between charges, and integrated microphone is designed for handsfree calling. In addition, the wireless headphones are customizable via changing the detachable earcup shields sculpted using 3D printing technology. The Crossfade 2 Bluetooth headphones are priced at $330 USD. If you’re interested, jump to V-MODA official site for its more details.